At Print Electronic News, we are committed to the promotion of knowledge within the Printed Electronic community and providing an opportunity for you to share with the world your important business or product related information. We have multiple packages to make it easy for you to share the information you have and gain the exposure you need. 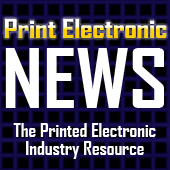 Register your Printed Electronics Manufacturing or Supplier information with Print Electronic News. List a detailed biography about your company as well as images and Hotlinks to your company website. Tell others about your latest company and product information with PEN press releases. Include images and Hotlinks to your product or company website. Gain total exposure for your company by purchasing the full PEN Media Package. This includes both package 1 & 2 at a reduced rate. Let others know what your company provides and be found easier on Print Electronic News. Our duel site media package ensures that you will be featured on both Print Electronic & Membrane Switch News. Both sites will feature your company manufacturer or supplier information with hotlinks as well as allow you to release your latest news and information with Press Releases on both sites. Note: Package subscriptions are on a monthly fee basis and require a written cancellation 30 before desired package termination.